On behalf of Manasseh Jordan Ministries we are privileged to have you take part in spreading the gospel around the world. We are looking forward to bringing souls to the kingdom of God through the miracle working power of Jesus Christ. Prophet Manasseh will be traveling the world this year in pursuit of opening the eyes around the world to the true power of Jesus Christ; but we cannot do this alone and need your support. We are looking for partners to help assist Prophet Manasseh to travel the world to minister the gospel of Jesus Christ. I am personally asking you to join our partner campaign with a generous monthly donation that will help fuel the vehicle to do the work of the Lord. At this urgent time we must bring Jesus to perishing souls as it declares in Romans 6:23. Please check one of the boxes below and partner with us in touching lives. I am committing $30 a month or more ($1 a day!) to become a Silver Partner and help Prophet Manasseh spread the Gospel. 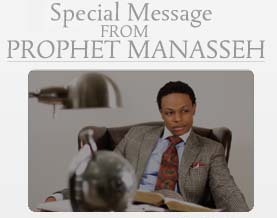 By committing you will receive a free subscription to Prophet Manasseh's teachings on the prophetic anointing. Daily prophetic and inspirational devotionals through emails. Constant monthly video updates on the ministry progression. Priority seating at Prophet Manasseh Events. Free access to Prophet Manasseh's manuscripts. I am committing $50 a month or more to become a Gold Partner and help Prophet Manasseh spread the Gospel. I am committing to $100 a month or more to become a Platinum Partner and help Prophet Manasseh spread the Gospel. Constant monthly updates on the ministry progression through webcast videos. I am committing $500+ a month or more to become a Diamond Partner and help Prophet Manasseh spread the Gospel. FREE access to Prophet Manasseh monthly prophecy conference call (Advised: The prophet will be in prayer as he seeks the lord for a prophetic word for your life). 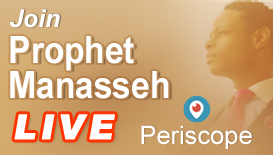 Access to a LIVE prophetic phone call with the Prophet. Access to the entire ministries product for FREE.